This photo was taken in Malakwa. 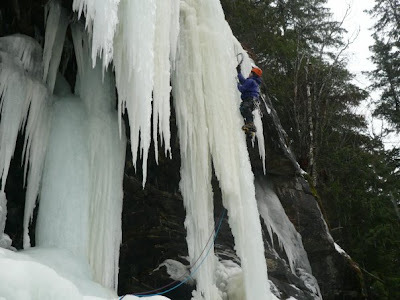 Although ice climbing is definitely not my specialty, it isn't hard to get stoked looking at photos of local guys doing some local climbing and HARD climbing to boot! 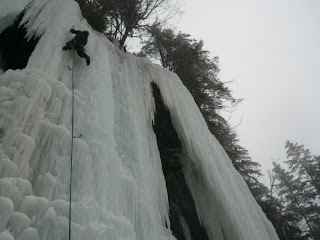 The Second photo is of Lyle Knight him self doing the first ascent (?) of Pigeon Pillar, WI5, Malakwa, BC, December 20, 2009. If anyone needs details on how to get Rest Stop/ Pigeon Pillar or CPeople Play I can be emailed a lknight4 at hotmail. Lots of great ice to be had locally.